When Brenden Fletcher, Cameron Stewart and Babs Tarr relaunched the Batgirl series, it made shockwaves throughout the comic world, as the title was re-energized and fresh. 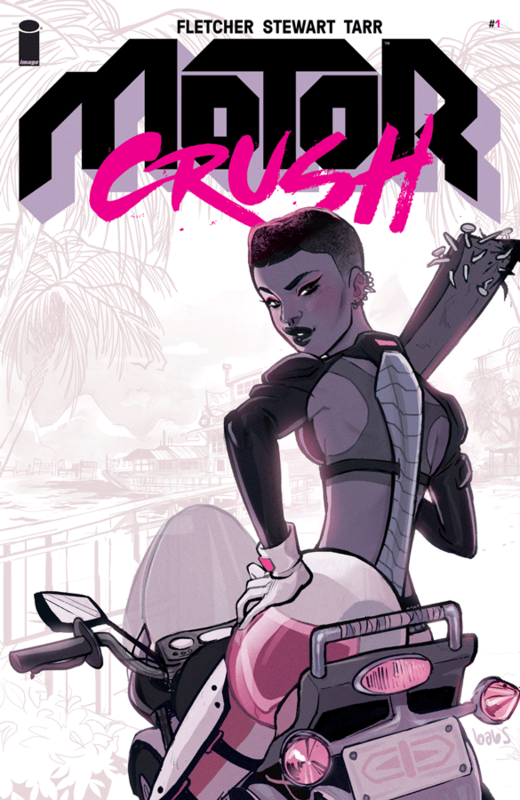 With the team now launching a creator owned title at Image Comics, fans have eagerly awaited the release of Motor Crush. 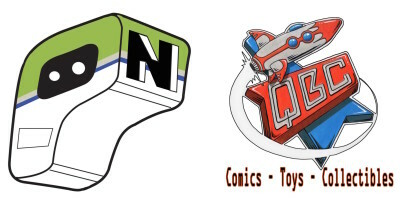 With issue #1 now on the shelves, how did the high-octane issue kick off? In Nova Honda, there are two major ways to use your speed and skill on a bike to rise to prosperity: one is the legal way, by way of the World Grand Prix (WGP), or by fighting against rival gangs, armed and ready to fight in a neo gladiator like “Cannonball”. The story focuses on Domino Swift, an up and coming rider for the WGP, but a seasoned vet in Cannonball, unbeknownst to everyone. Being the daughter of a vet in the WGP, it would crush not only her dreams, but her father’s view of her as well. Why race in Cannonball if you are already on the cusp of the big leagues? An engine boosting machine narcotic that Domino is caught up with. For every win in Cannonball, she wins more and more Crush, but to what cost? The story has a real tech feel to it, like you want to click the dialogue boxes for more info or pop up ads, which really helps to establish the world of Nova Honda. Domino is sharp, determined and strong, but still young, and makes mistakes that will have you shaking your head in sympathy for her. She is that likeable of a character. The artwork here screams cyberpunk, with a vibrant, animated feel to it all. The designs for the characters, the bikes, the world in general, is simply outstanding. The creative team here creates a fast paced, engaging debut issue, one that beckons for readers to tune in next month to see what happens to Domino next. Motor Crush #1 is a debut that fires on all cylinders, making for another fantastic hit from Image Comics.